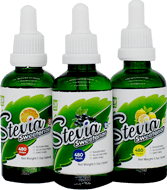 GreenHerb enjoys one-decade-history in developing Stevia, with all based in China’s distant northwestern region with sanitary environment and better source of irrigation and air, where few pesticides and herbicides are used, as a result of low rates of pet-breeding and diseases caused by great day-night temperature difference. We are glad to see the geographic merits render our farming base more organic and our production of better quality, bigger quantity and more traceable. Our Stevia cooperation on land, variety and cultivation development dates back to the year of 2006 and we ensure each piece of land used by us is investigated and evaluated before application. All operations at our farming base are advanced and automatic, which makes the farming potentially more expansive and weather-change-mitigating. 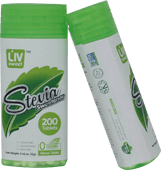 And in addition, most of our Stevia farming activities are encouraged and endorsed by the local government, while at the same time, our Stevia business creates more income opportunities for the local farmers. 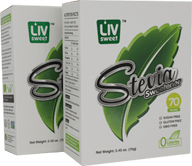 We endeavor to design specialized facility and production workflow for the entire process chain of Stevia, which are of course, more superior, efficient and sanitary, when compared with traditional equipments. In this regard, ISO and HACCP management standards are observed throughout the entire production chain while testing machines of HPLC, UV, GC and GC-MS are well equipped onsite. With the general advantages we have, we are more prepared to ensure excellent result and high product purity of long-term with strict execution and great care. GreenHerb is internally home to an experienced team, professional R&D and externally active in keeping cooperation with laboratories of universities, for example, it has the Food Science Academy of Northwestern University as its special consultant for product innovation and optimization.